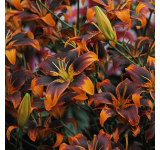 Paris Heart Lily has orange flowers with dark purple centers and orange stamens. 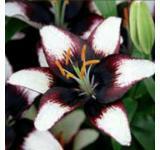 This Asiatic lily blooms in the summer. Lilies have slender stalks topped with a cluster of flowers. 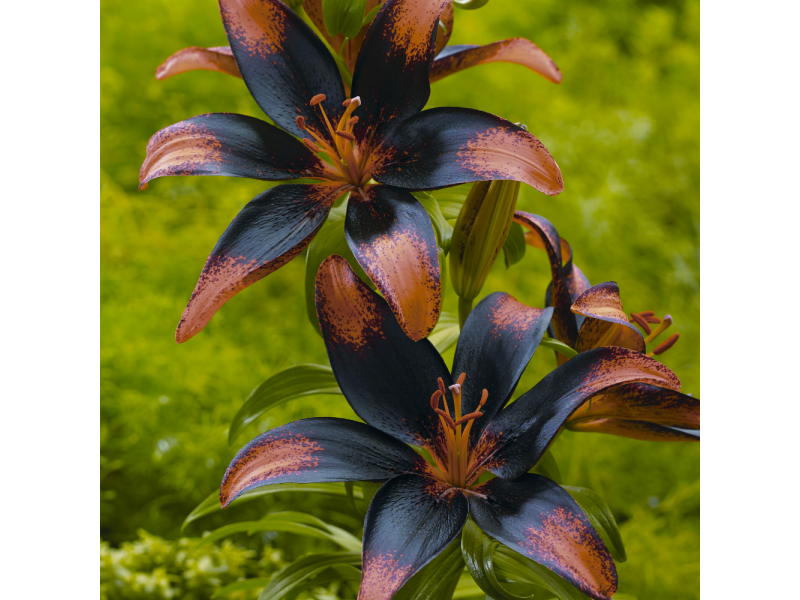 Lilies look great planted behind or even under perennials for a dramatic effect. 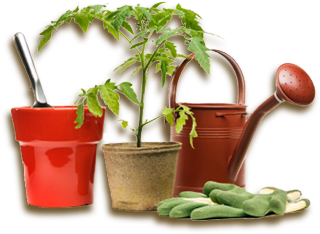 Hardiness Zones 3-9. You receive 3 bulbs per order. This is a pre-order and will be available in late March or early April. 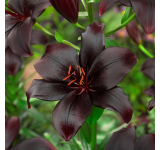 Planting Instructions: Lilies are easy to grow in moist well-drained soil. 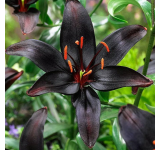 Lilies prefer their feet in the shade and their faces in the sun. 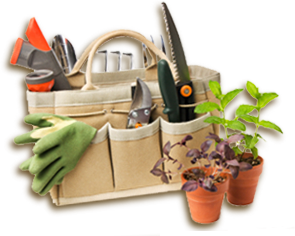 Plant the bulbs about 4 inches deep and since they need space at least 12 inches apart. When watering lilies make sure you water the soil and not the actual lily.